Every marketer wants to target millennials. Ask anyone. Even Hyundai's Puneet Anand is changing up his whole marketing strategy to appeal to a younger crowd. 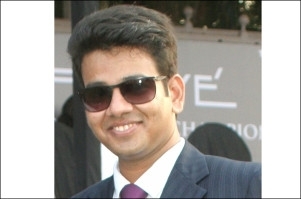 In a recent interview with afaqs!, Anand told us, "...the way we spend on media to create content has changed." He's not the only one who thinks this way. Many brands are targeting this group in their communications and as a result, the ads are more colourful, louder and overall, have a more youthful tone. Pepsi's main target audience has always been the college-going crowd and this summer they released a campaign titled 'Har Ghoont Mein Swag.' The ad features a college student rebelling against a dress code imposed by the principal and eventually outwitting him. This isn't the first time that Pepsi has capitalised on swag to sell their products. In 2017, Pepsi created an ad campaign with Virat Kohli that highlighted his cricketing skills to show off his 'swag'. In both of Pepsi's campaigns (2017 and 2019), the packaging was altered as a reflection of the ongoing campaign around "swag". In addition to the #HarGhoontMeinSwag campaign, Pepsi has also been active on Instagram with their marketing efforts. 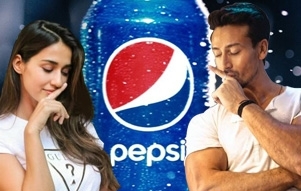 On Valentine's Day, they had popular Bollywood stars - Tiger Shroff and Disha Patani - upload videos as a part of the campaign. Disha Patani, Tiger Shroff and Badshah came together to create a music video for the #HarGhoontMeinSwag campaign. While the hype around Zoya Akhtar's film - Gully Boy - was still at a high, travel aggregator Ixigo came up with a campaign titled #TrainMeinSwag. A 'rap video' styled ad, the theme focuses on making train-travel cool again. The ad doesn't have the same posh, metropolitan feel as Pepsi's as Ixigo chose a more relatable tone. The video sums up the middle-class experience of travelling by train and tries to appeal to the millennial traveller through the message. Marketers who target college students clearly love the concept of swag. Johnson & Johnson-owned Clean & Clear launched a campaign (conceptualised by DDB Mundra) called #UnbottleApnaSwag for its facewash range. The campaign talks about different types of personalities that girls have and focuses on trying to be a celebration of them. It didn't matter whether a girl is nerdy, a chatterbox or a foodie - Clean & Clear changed its packaging to reflect these varied personality types implying that each has their own unique kind of 'swag'. Apparently, to most brands, Virat Kohli is synonymous with swag. In collaboration with the luggage and backpack brand, American Tourister, Kohli was part of a campaign called #SwagPack. The campaign was for their new line of backpacks and while most backpack ads talk about the features and the utility value of the product(s), American Tourister went another way. The ad had no mention of the backpack's features; instead, it had a new-age look and feel with hip-hop dancers and upbeat music. Kohli himself danced in the video and, towards the end, invited viewers to buy a backpack from the line for a chance to meet him.